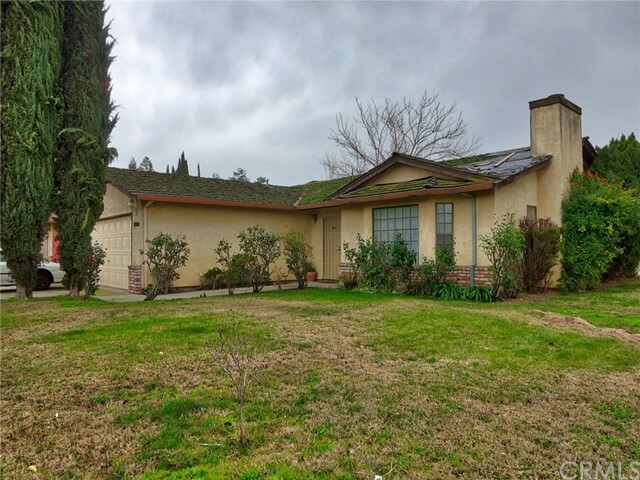 Excellent Turlock location near CSUS Stanislaus! Original owners. 3BR/2BA, 1,339 SF, great floor-plan, great room concept with LARGE living room featuring laminate wood floors, vaulted ceiling, recessed lighting, and cozy fireplace. Hall bath with tub/shower. Master bath features dual sinks and shower with glass doors. All 3 bedrooms are pretty spacious. Fully finished 2-car attached garage with laundry area and utility sink. Good sized backyard with 2 storage sheds, and covered patio. Walk to the collegeExcellent Turlock location near CSUS Stanislaus! Original owners. 3BR/2BA, 1,339 SF, great floor-plan, great room concept with LARGE living room featuring laminate wood floors, vaulted ceiling, recessed lighting, and cozy fireplace. Hall bath with tub/shower. Master bath features dual sinks and shower with glass doors. All 3 bedrooms are pretty spacious. Fully finished 2-car attached garage with laundry area and utility sink. Good sized backyard with 2 storage sheds, and covered patio. Walk to the college, shopping, neighborhood parks, and the kids can walk to school across the street! Bring your imagination and give this home the cosmetic attention that it deserves to make it shine like new.